Get ready for more princess packs! 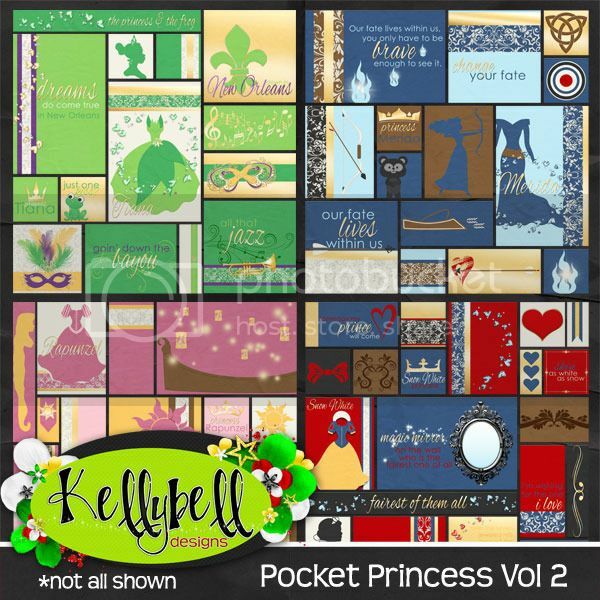 Last week Kelly introduced a new series called Pocket Princess. The first volume focused on Cinderella, Belle, Aurora and Ariel. This week there's 4 new ones in the Volume 2 packs and they are Snow White, Rapunzel, Tiana and Merida. Super wow! These new princess packs certainly dazzle with lots of jaw dropping gorgeousness! Volume 2 is filled with so many blocks, cards, tags and strips tailored to each princess and their matching color palette. So pretty! Inside the Volume 2 Tags you'll find an assortment of word strips, sayings and colorful tags to decorate your pocket pages or traditional layouts. Check out this pack of cardstock and damask papers. Those patterns are so regal! Here's a set of 8 different alphas. Excellent for a mix and match title. 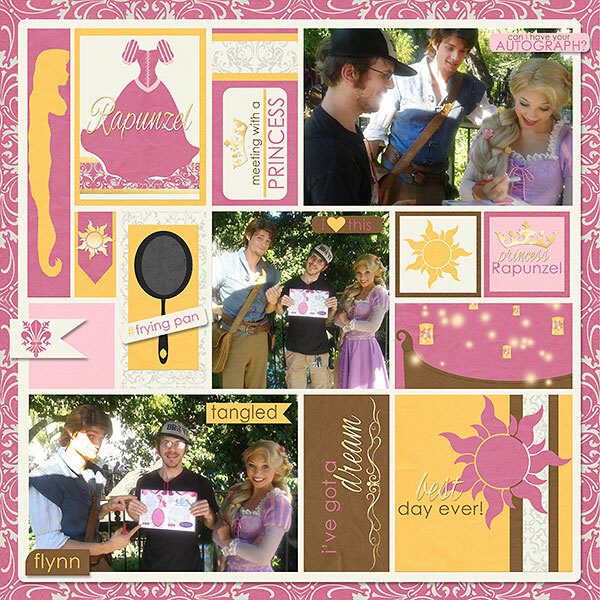 Kelly also has a new 4 pack of templates with lots of lots of room for photos and these cute princess cards and tags. 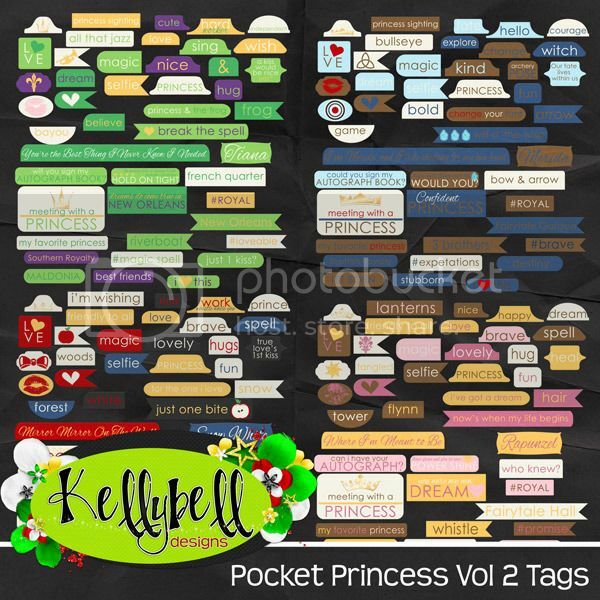 All of these new released items can be found inside the Kellybell Designs Store. They are priced at 25% off this weekend only so hurry on over there to pick them up. Browse around the store, there are so many beautiful collections to choose from! How can you resist these amazing princess packs? I'm sure you've got several princess photos to scrap where these new Pocket Princess packs are perfect for. Need some inspiration? Check out Kelly's Blog or Kelly's Facebook Page to see all the Creative Team layouts. Here's two pages I made. My stepson loves to get characters to sign his My Little Pony Elements of Harmony book and tell them why they remind him of the ponies in his book. He's so cute! 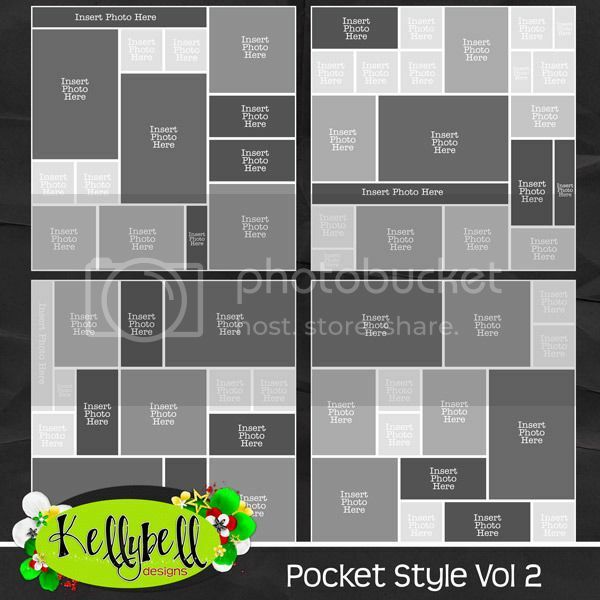 If you'd like to find 3 pretty freebies that coordinate with this new collection, you'll need to take a stroll on over to Charlene's Blog, Jessica's Blog and Linda's Blog. These gals have made you something special. Share the love along the way! Have a great weekend and happy scrapping out loud!